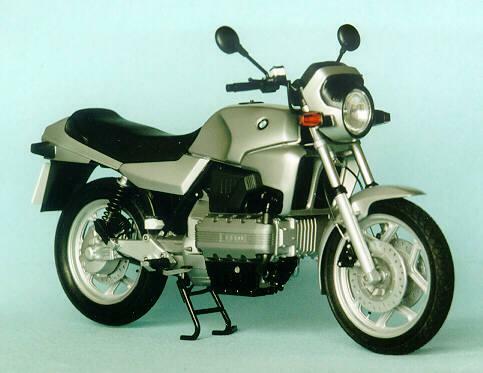 The 'K' series concept was a departure from BMW's horizontally opposed twin cylinder concept and work on the new bike began in 1979. The K100 was not revealed until 1983 and was offered in three styles: K100, K100RS with half cowl and K100RT with larger cowling. The 1983 K100 was offered in metallic silver or metallic red.